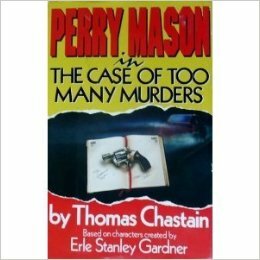 This entry was posted in 100 Mysteries you should die before you read, Brand, Detective fiction, Golden Age of Detective Fiction, Mystery, Mystery writers, Quick Looks and tagged Della Street, Erle Stanley Gardner, Helen Hayes, J. P. Hailey, Nick Carter, Parnell Hall, paul drake, Perry Mason, Peter Graves, Steve Winslow, thomas chastain. I’d managed to forget that these continuations existed – and if it’s OK with you, I think I’ll try and leave it that way 🙂 I attempted to read that first chapter and see if it’s all as blooming obvious as you say though … cheers mate. Yes, this and the other volume are kind of sad. 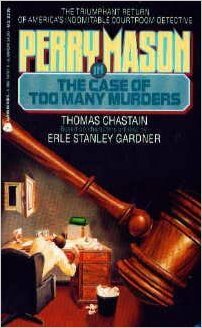 I am thinking, though, that the time is really ripe for a reboot with a new author. The reboot of the TV series (before the series of made-for-TV movies) was actually interesting but didn’t even last a season, so that’s also an interesting possibility. Maybe we’ll get something better in the future!